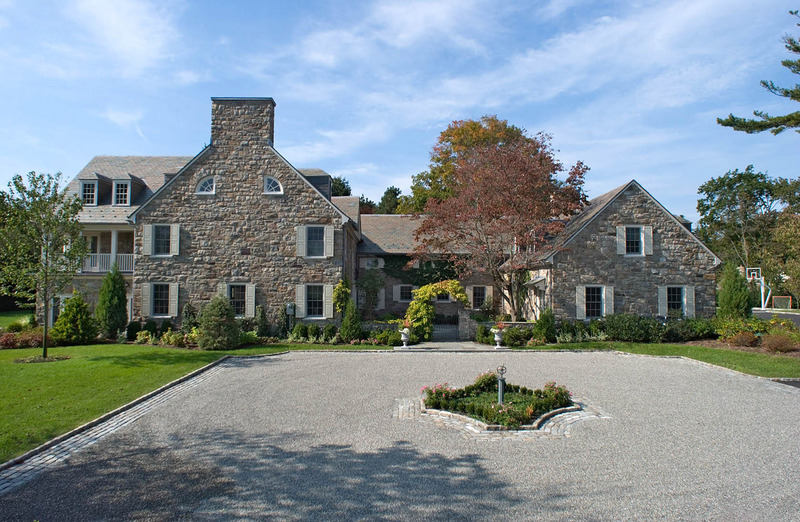 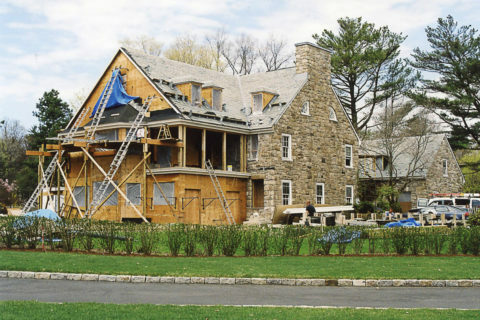 The transformation of this 9,000 square foot 1920s Greenwich, Connecticut home was undertaken to restore the character of the original structure, clarify the plan for contemporary living, and more fully take advantage of hilltop Long Island Sound views. 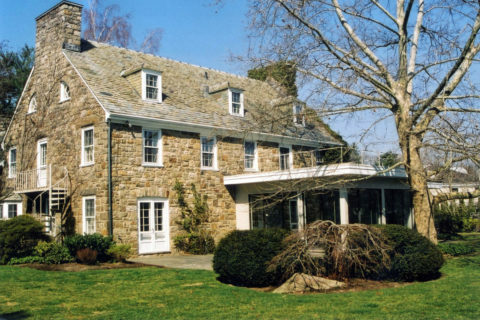 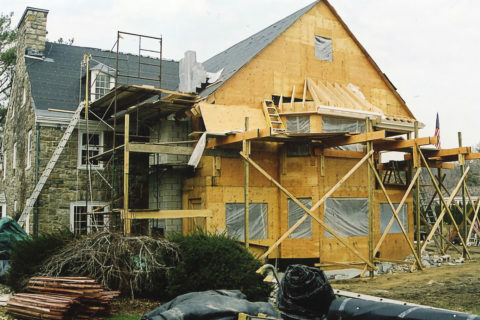 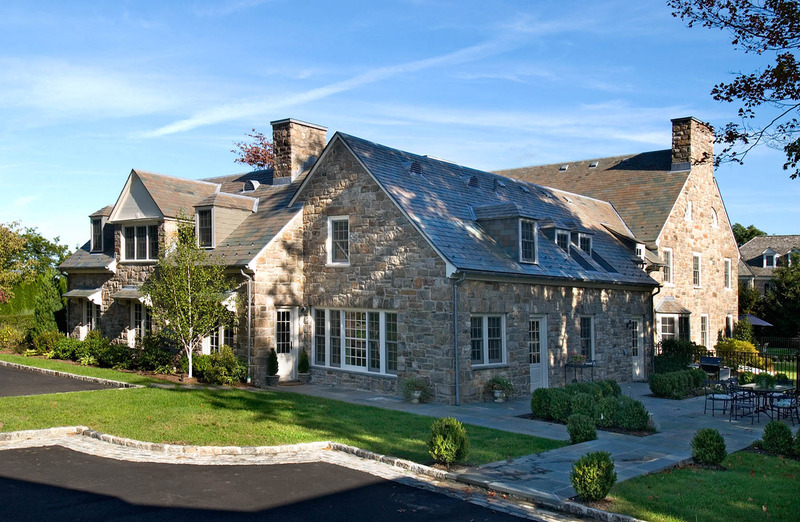 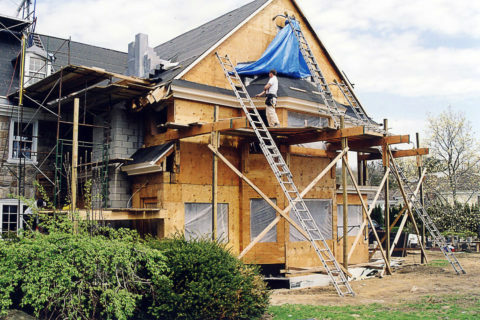 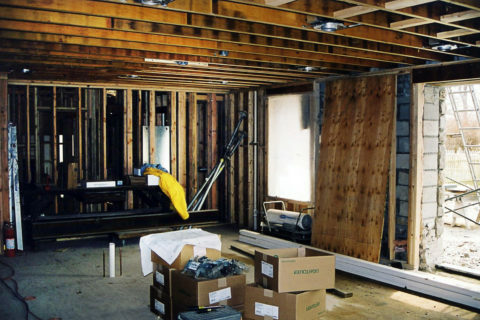 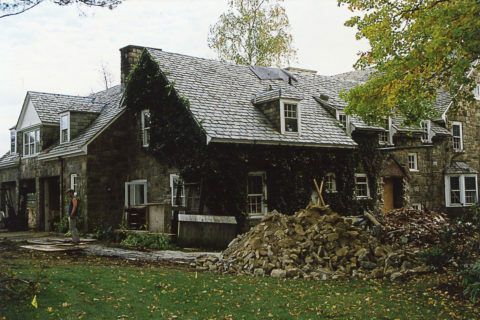 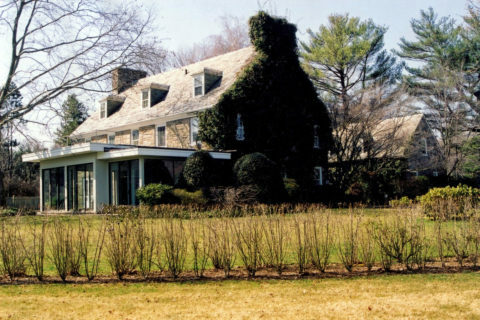 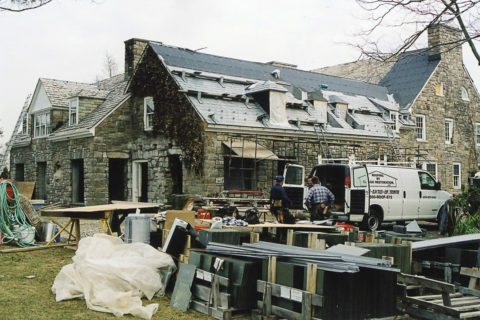 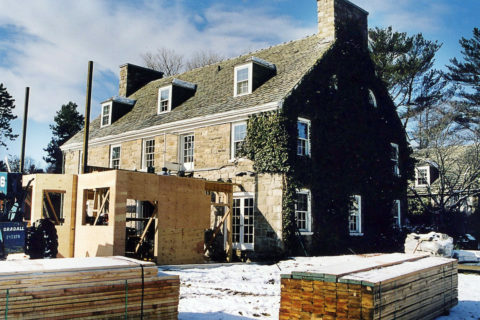 A gut renovation ensued with the removal of all recent additions and exterior appurtenances, including all windows, exterior doors, and slate roofing. 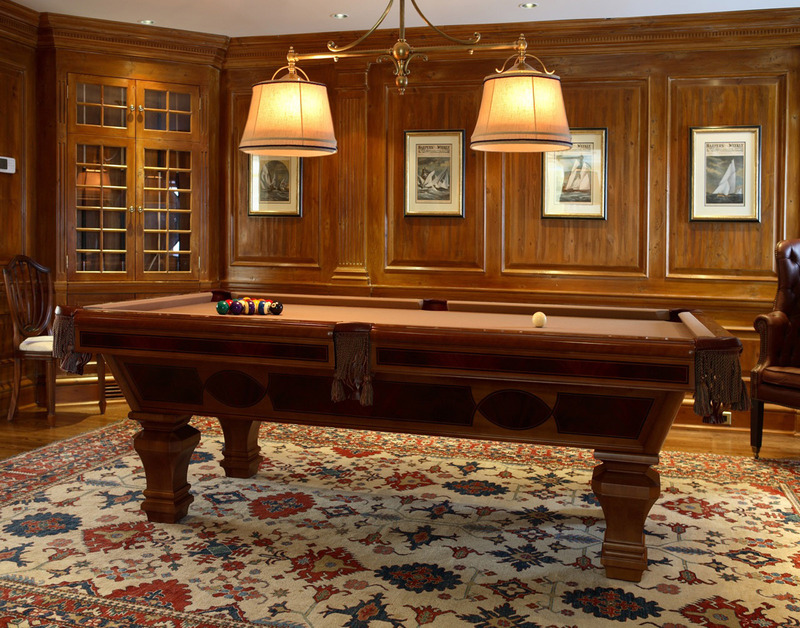 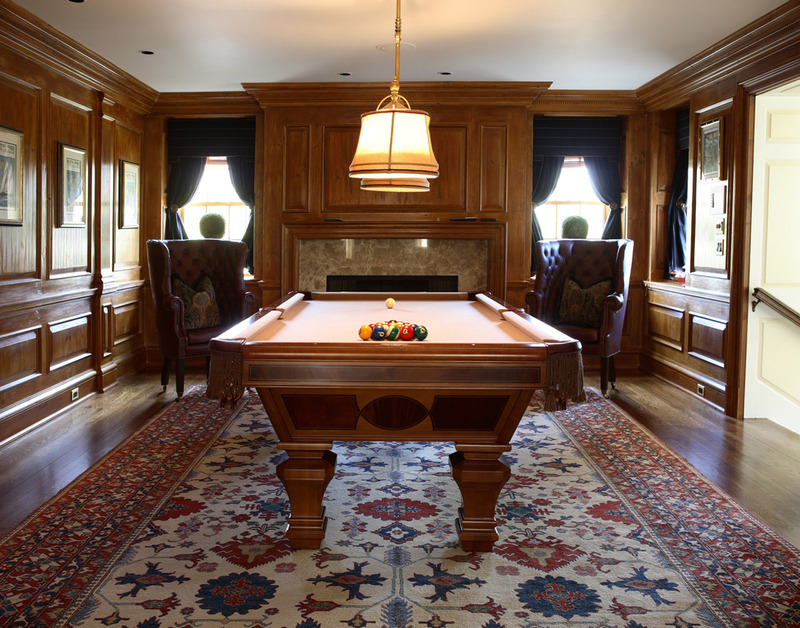 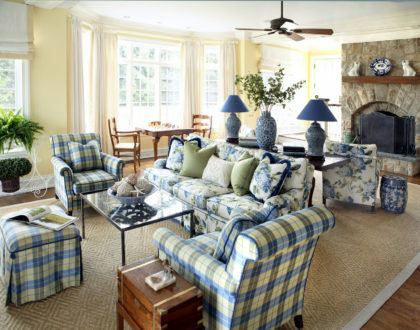 The home’s eight original fireplaces were maintained and restored while being supplemented by two additional fireplaces in the new layout. 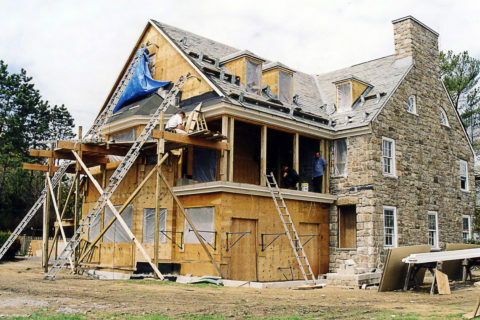 Working with the existing U-shaped plan, Soper Babcock Associates replanned significant portions of both the first and second floors. 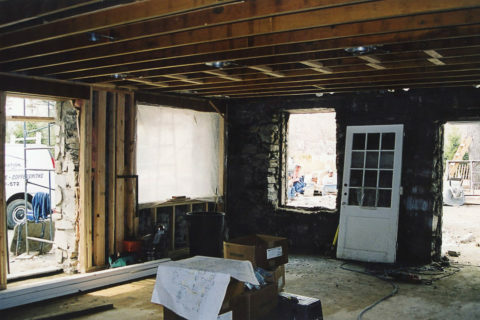 The front entry stair hall, study, living room, and dining room locations were maintained in the south wing of the first floor. 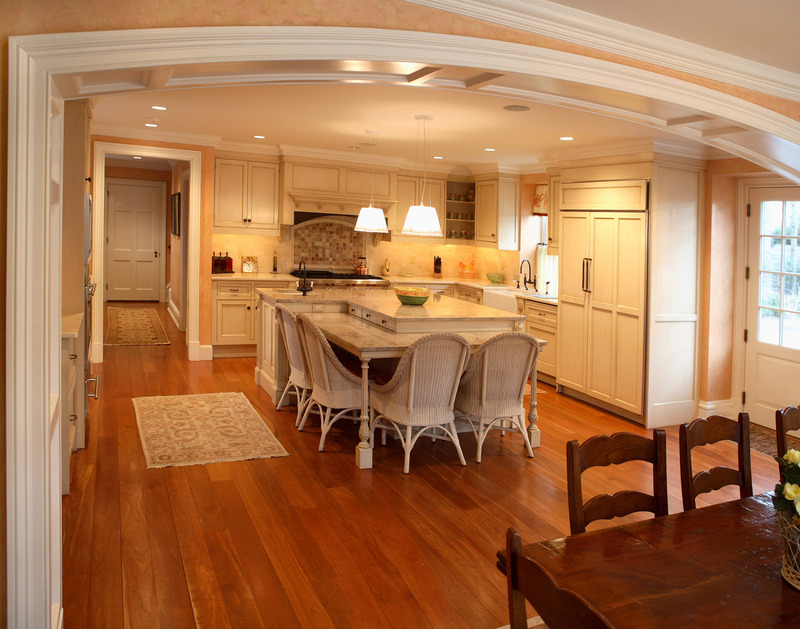 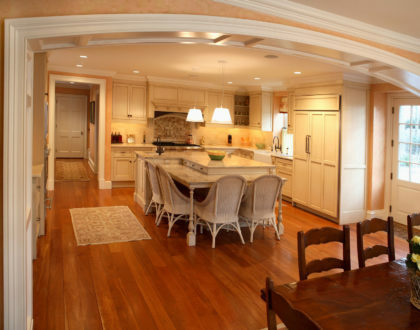 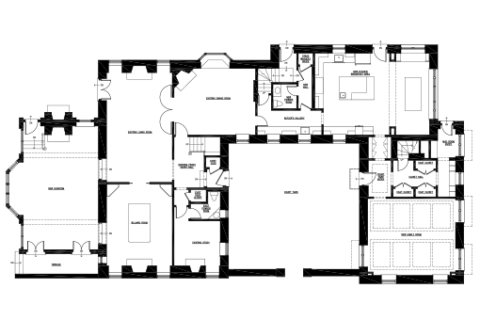 The remainder of the first floor, including the entire north wing, was redesigned creating a large kitchen, breakfast area, mudroom with courtyard entry hall, and ample family room for the couple’s four children. 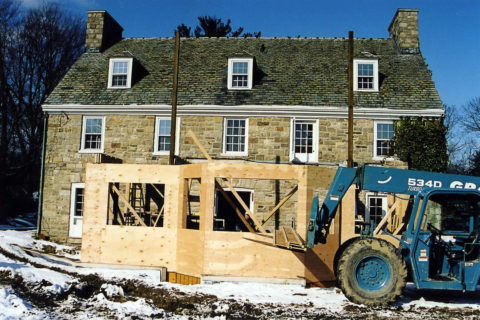 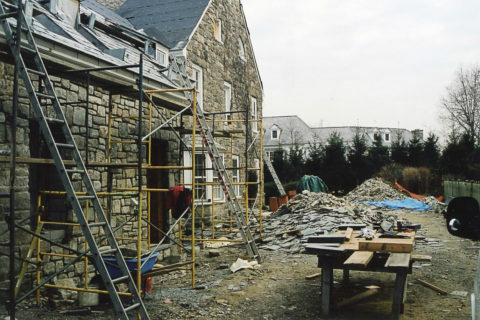 Six of the original eight bedrooms were maintained on the second and third floors with two being removed to accommodate a new master bathroom and closet suite in the south wing of the second floor. 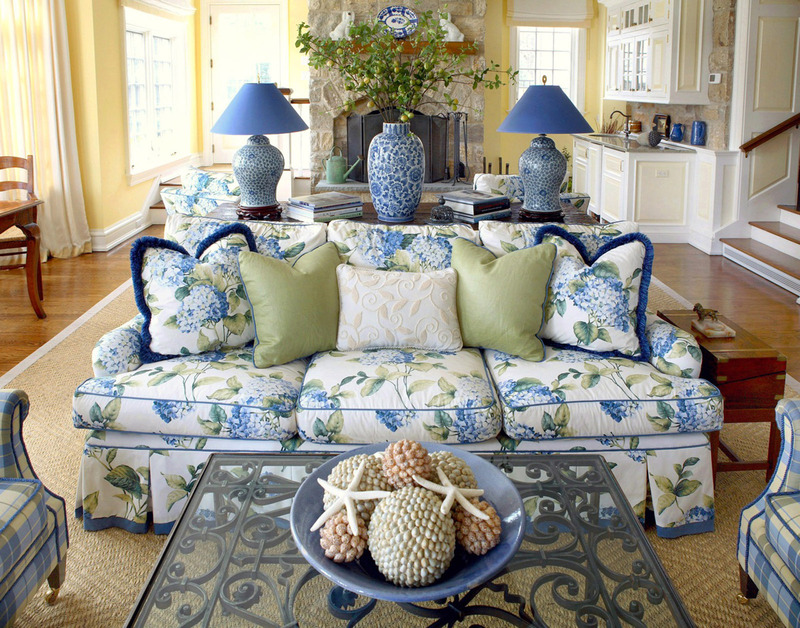 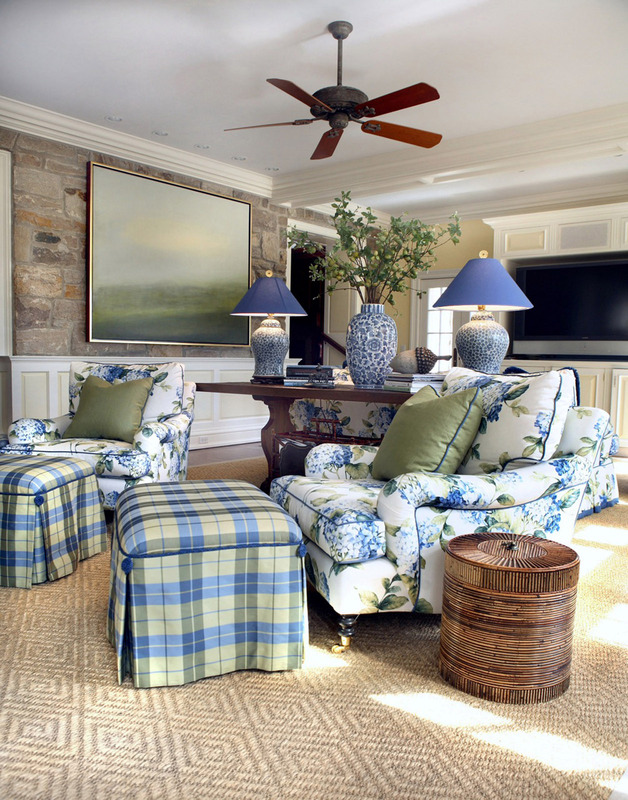 A three-story addition to the water-facing southern end of the home affords dramatic Long Island Sound views from the new master bedroom and expansive sunroom below. 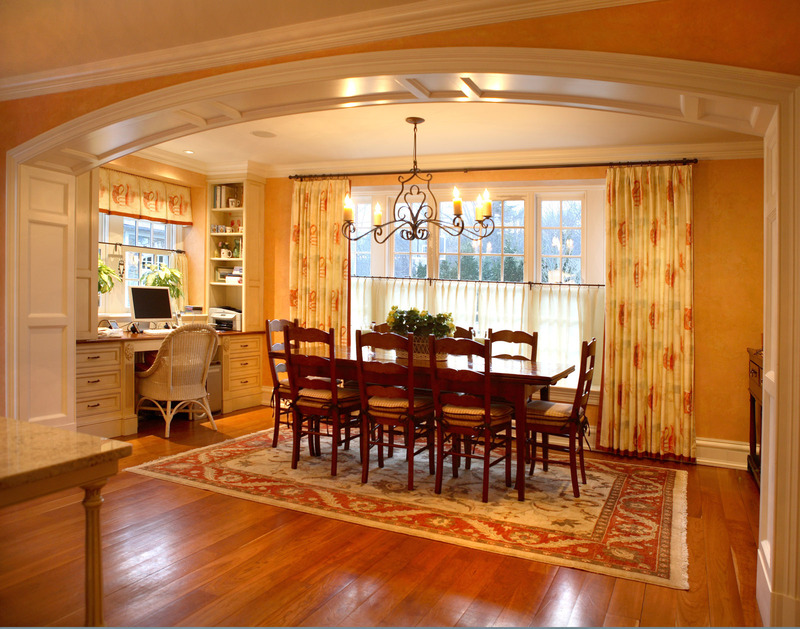 A children’s playroom occupies the third floor of the addition. 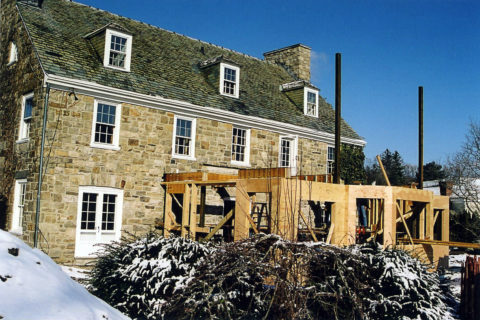 A new freestanding three-car garage and exercise studio, erected in the rear yard on the northern side of the property, replaces the original garage in the north wing of the house. 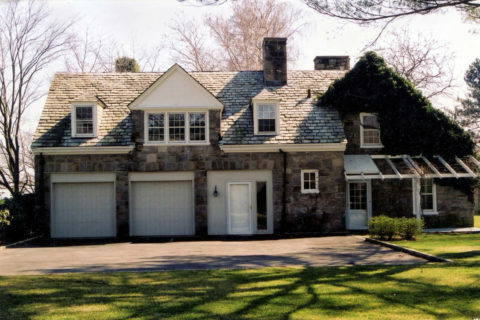 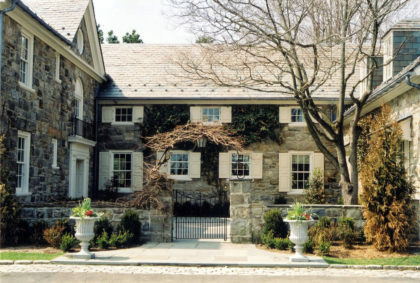 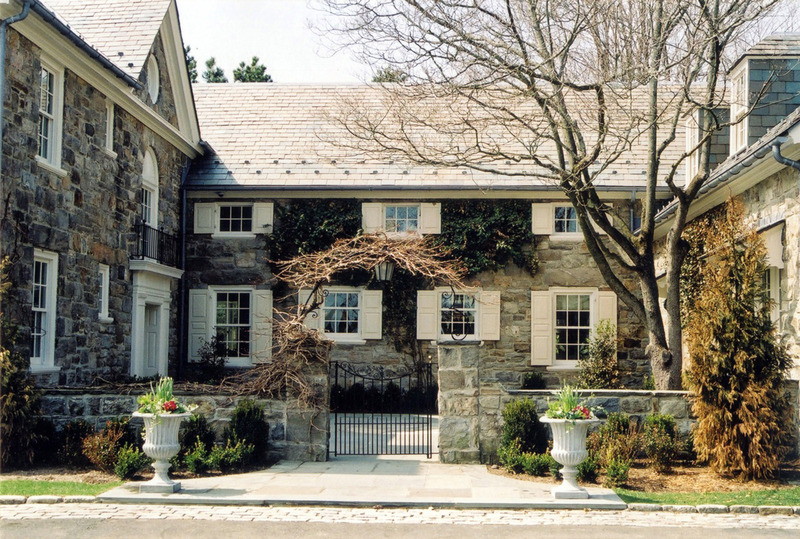 Period appropriate windows and stone veneer replace the existing garage door openings and create a more aesthetically pleasing first impression of the home upon arrival. 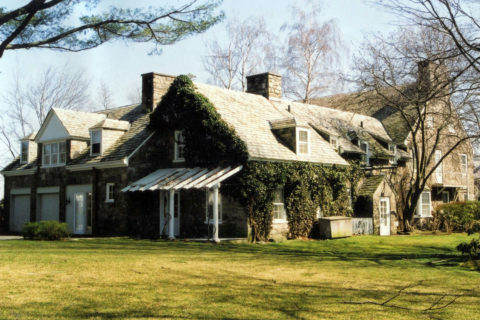 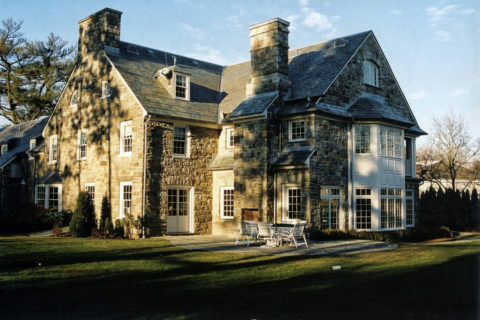 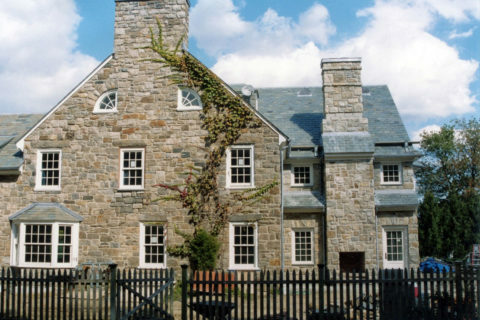 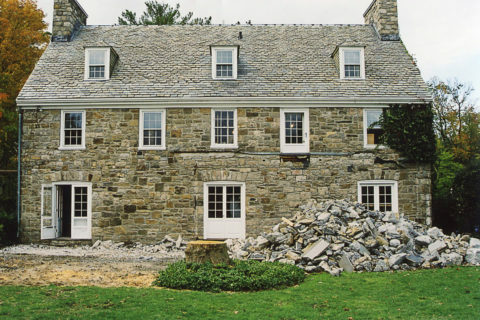 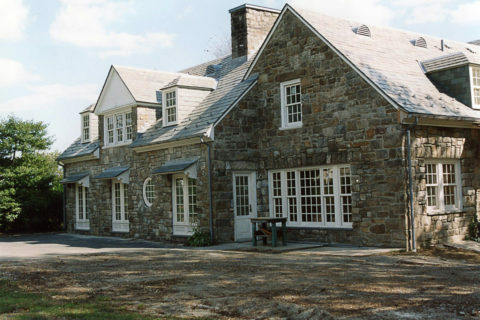 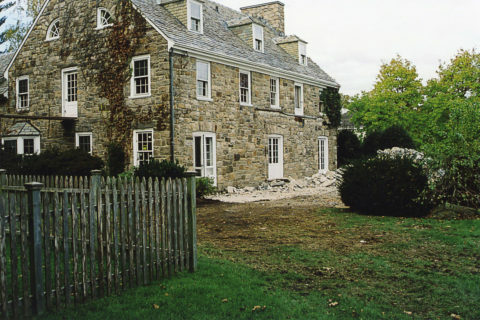 Restoration of the existing exterior includes new windows and three panel shutters, slate roofing, built-in gutters, wood trim, and masonry repointing. 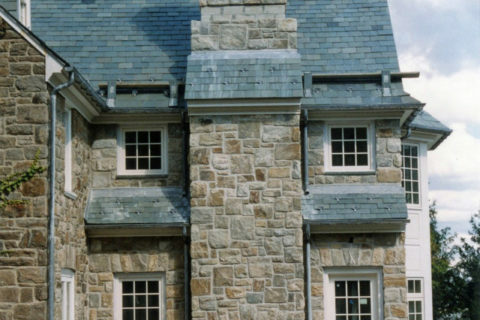 The additions are clad in stone veneer quarried from the same on-site stone deposits used in the 1920s on the existing home, resulting in a seamless match with the original veneer.